In the year 2000, in the closest election in American history, Alice Blackwell's husband becomes president of the United States. Their time in the White House proves to be heady, tumultuous, and controversial. But it is Alice's own story - that of a kind, bookish, only child born in the 1940s Midwest who comes to inhabit a life of dizzying wealth and power - that is itself remarkable. Alice candidly describes her small-town upbringing, and the tragedy that shaped her identity; she recalls her early adulthood as a librarian, and her surprising courtship with the man who swept her off her feet; she tells of the crisis that almost ended their marriage; and she confides the privileges and difficulties of being first lady, a role that is uniquely cloistered and public, secretive and exposed. In Alice Blackwell, Curtis Sittenfeld has created her most dynamic and complex heroine yet. 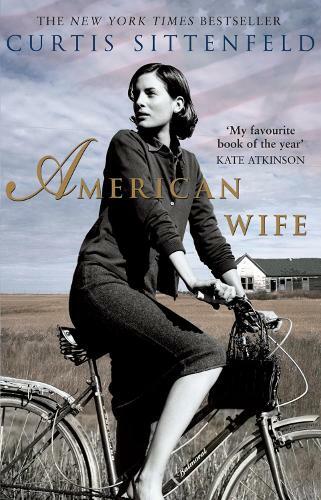 American Wife is not a novel about politics. It is a gorgeously written novel that weaves race, class, fate and wealth into a brilliant tapestry. It is a novel in which the unexpected becomes inevitable, and the pleasures and pain of intimacy and love are laid bare. Born in Cincinnati, Ohio, Curtis Sittenfeld is a novelist and short story writer, best known for The American Wife, her acclaimed fictional reimagining of the life of Laura Bush. Her other novels include the boarding school novel Prep – which the Guardian writer Hadley Freeman called ‘written with astonishing precision and intelligence, as though Gossip Girl was set in Middlemarch’ - and Eligible, a reworking of Jane Austen’s Pride and Prejudice. Her first short story collection, You Think It, I’ll Say It, was published in 2018. A fantastic Journey from the 1960's to present day, an extraordinary insight into the life of a ordinary girl who will become a first lady. I did not want to finish this book!